Home Logistics Trending How Do Drones Help the Planet? While unmanned aerials vehicles (or drones) have been around since the 1980s, they've attracted a new level of enthusiasm in recent years. Helping consumers and businesses alike take to the skies, drones offer countless opportunities to innovate and update traditional processes. Uber, for example, hopes to see drones support its food delivery service within the next several years. They're just one of the business giants looking to pioneer unmanned shipping. It's no surprise that package delivery has become an early priority for drone-based initiatives. Transportation is currently the world's largest contributor to climate change with a staggering 415 million metric tons of carbon dioxide coming from medium- and heavy-duty trucks alone. Delivery by electric drone, research suggests, could help organizations cut fuel costs and potentially reduce their carbon footprint. Working on behalf of the Smithsonian, a team of scientists recently determined that small drones are more environmentally-friendly "than any truck or van, whether powered by diesel fuel, gasoline, natural gas, or even electricity." Reducing emissions is just one of the ways drones promise to protect our planet and its people. Here are a few more green applications for these exciting, evolving resources. Shipping and eCommerce companies aren't the only organizations looking to replace gas-guzzling vehicles with more sustainable alternatives. Agribusinesses, too, are hoping to realize the benefits of seeding and fertilizing from above. In addition to reducing emissions, PWC reports that some drone-based planting systems have the potential to decrease planting costs by as much as 85%. Drones also promise to dramatically improve the efficiency and efficacy of crop supervision. Analyzing plant health in real-time, drones can ensure a rapid response - even in the face of extreme and unpredictable weather conditions. What's more, they can calculate the optimal distance and volume for spraying crops to reduce pollutants and provide for better crop yields. They'll even prove helpful when disaster strikes. "In the case of crop failure," PWC writes, "the farmer will be able to document the losses for insurance claims much faster." Drones have repeatedly proven more effective than humans at counting and tracking animal populations. As Nature Magazine puts it, drone technology represents a "new frontier" for environmental research and conservation efforts. They're especially useful in areas that are otherwise hard to reach or hazardous to human researchers. So far, they've helped keep an eye on vulnerable species including chimpanzees and orangutans. Activists and animal enthusiasts are also hopeful that drones will help protect endangered species from poachers. California-based Air Shepard has already leveraged drones to protect rhinos and elephants in three African nations. They have plans to expand into three more in the near future. With 80% of illegal hunting taking place at night, it's exceedingly difficult to combat the $70 billion dollar industry. Air Shepard's drones can track poachers at all hours, alert local authorities, and encourage a speedy response. Installing a wind turbine or a solar panel is only one part of promoting renewable energy. Once they're in place, these energy sources require regular monitoring to ensure they remain effective. Typically, these processes have required much in the way of both money and man-power. They've also required human inspectors to risk life and limb by scaling windmills and tall buildings. Drones have the potential to make maintaining our energy infrastructure a far less costly and far less risky endeavor. Providing for quicker and more effective data collection, they can make assessments on high to ensure potential problems are addressed in a timely manner. It's likely they'll play a pivotal role in promoting a shift toward new, greener energy sources across the globe. Technological innovation and environmental responsibility are no longer optional. For leading organizations, they are both necessary for outpacing the competition and attracting world-class talent. 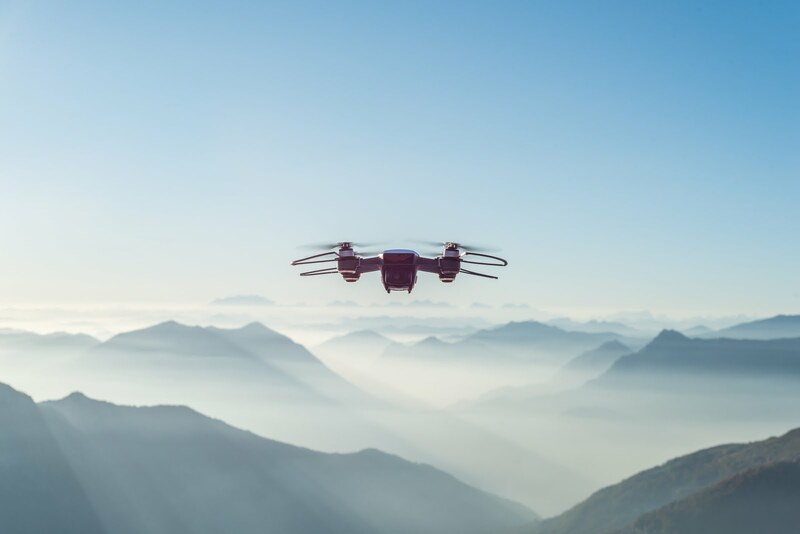 Though we're just starting to get a sense of their potential, drones look poised to take forward-thinking businesses to new heights.